An unplanned pregnancy can so easily become part of women’s lives. Although one in three British women will have an abortion during their lifetime, terminating a pregnancy remains controversial and stigmatised. 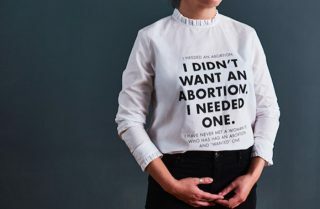 Many women who have an abortion will internalise that stigma, and experience isolation and shame as a result, and this may explain some of the negative aspects of women’s abortion experiences, such as why some wish to conceal it. ‘My Body My Life’ is a public engagement project that seeks to address this stigma around abortion by bringing real stories of abortion into the open. These stories show how easily an unplanned pregnancy can become part of women’s lives, how different women have made their decision about having an abortion, and what the process was like for them. The hope is that by creating a space in which women (and men) can share their stories, the project will contribute to opening up conversations about real experiences of abortion – positive and negative – to enable us all to speak, to listen, and to understand without judgment. On the website, visitors can read women’s stories of abortion in their own words. Originally collected as part of Open University (OU) research into women’s experiences of abortion, this research has grown into a broad public engagement project co-led by OU and the University of Oxford. It now includes this website, a travelling multi-media exhibition and a booklet of abortion stories that is available at BPAS clinics across the country. Visitors to the exhibition will have the opportunity to read women’s abortion stories, watch their video diaries, explore the abortion stories displayed in our clothing display, and, if they wish, contribute their own story in our swing-tag display. The exhibition is staffed with collaborators and volunteers who will be available to discuss the project and abortion generally, and refer visitors to other services if needed. And as part of the whole event, on 27 February, the Bump & Grind Theatre will present a one-night- only performance of ‘Bump’. Bump is a tale of some of the awkward encounters and nauseating moments that make up a girl’s life. Meet Lily and hear her story as she confronts her choices in the waiting room of an abortion clinic. Lily is 23, young, free and single and waiting for her life to start – but she’s hit a bump. Bump is a visceral and fast paced one-woman show exploring the journey from girl to womanhood. Written by Rosa Bowden, Rosa Torr and Cathal Sheerin, Bump was originally performed at The Box, Assembly George’s Square at the Edinburgh Fringe Festival 2017. ‘My Body My Life’ – an exhibition challenging abortion stigma – is on display in the Waterstones Gower Street London gallery from 24 February to 3 March 2018. For tickets for Bump, click here.